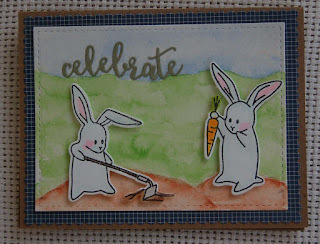 This is a birthday card for my son who is a newbie gardener. 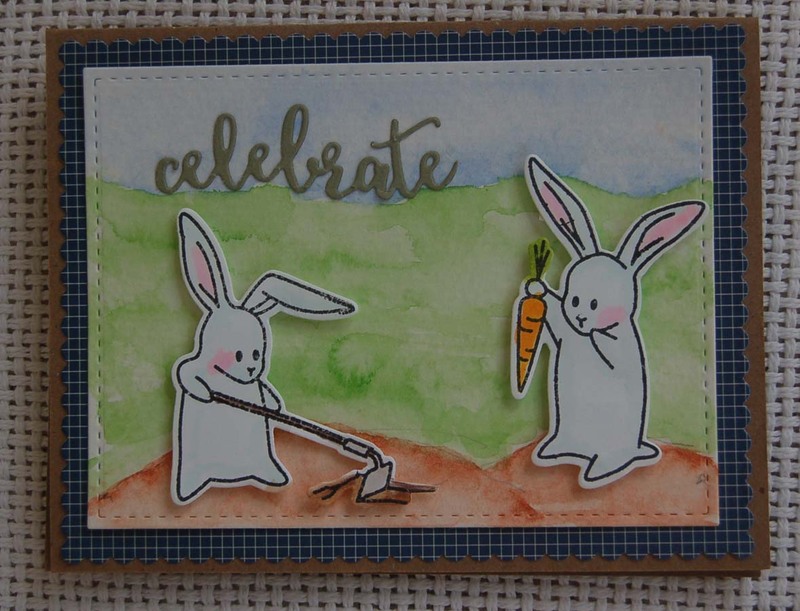 Since I had a Hero Arts stamp and die set of gardening bunnies that I having been itching to use, I incorporated the images into my son's card even though they are a little cutesy for an adult male. Trying to not get frilly, I simply watercolored the background using my favorite cake-style watercolor set by Kuretake (available at HM Ben Franklin Crafts). I love the colors in the set straight from the pan! I did a little Copic pen coloring on the images and then foam dot mounted them onto the Mama Elephant die cut piece of watercolor paper. This gave it a nice stitched edge to compliment the scalloped die cut edge of the Studio G dark blue paper (from HM BFC). 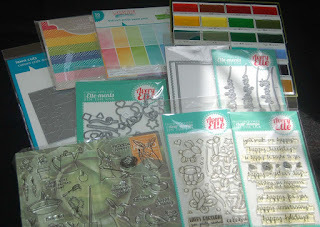 All of this was then mounted with Heiko double stick tape onto a burlap colored note card (Paper Accents). Here is the whimsical inside of the card.....my son will get the humor of this scene. 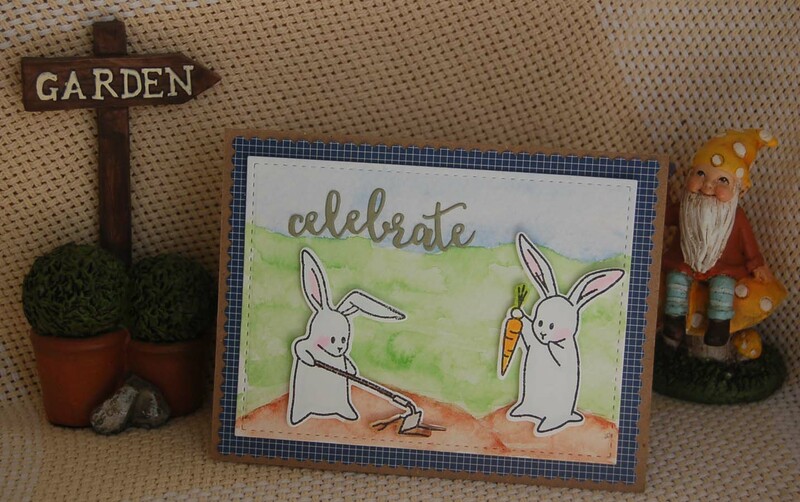 Lawn Fawn cardstock was cut with the Mama Elephant scallop rectangle die before impressing with the Lawn Fawn cloud die. (Click on the image to see a close up of the impressed clouds.) 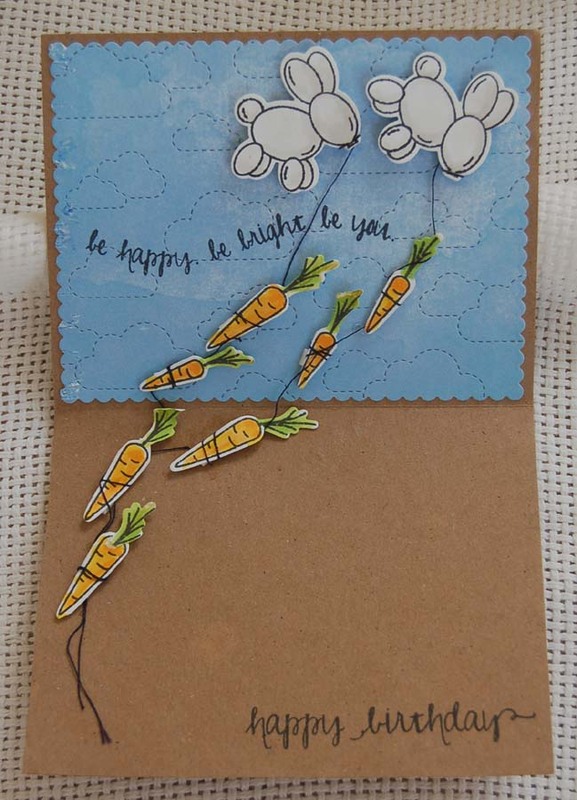 The balloon bunnies were mounted on foam dots and black thread was wrapped around their noses and the die cut, foam dot mounted carrots. A little Glossy Accents was added here and there to insure that the thread would not come undone. I am pleased with the outcome of this card. Please leave me a comment if it made you smile. It would make me smile to hear from you! 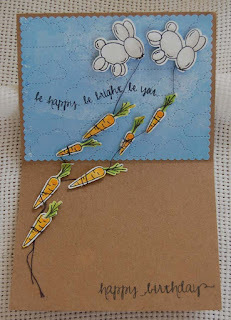 Awww...this is such an adorable birthday card for your son! 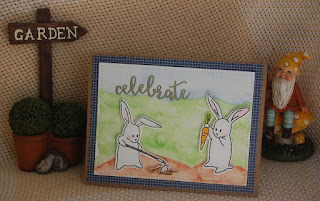 I really love the wonderful effect you achieved with the water color paints... so totally reminds me of the illustrations of the Peter Rabbit series books...great job! 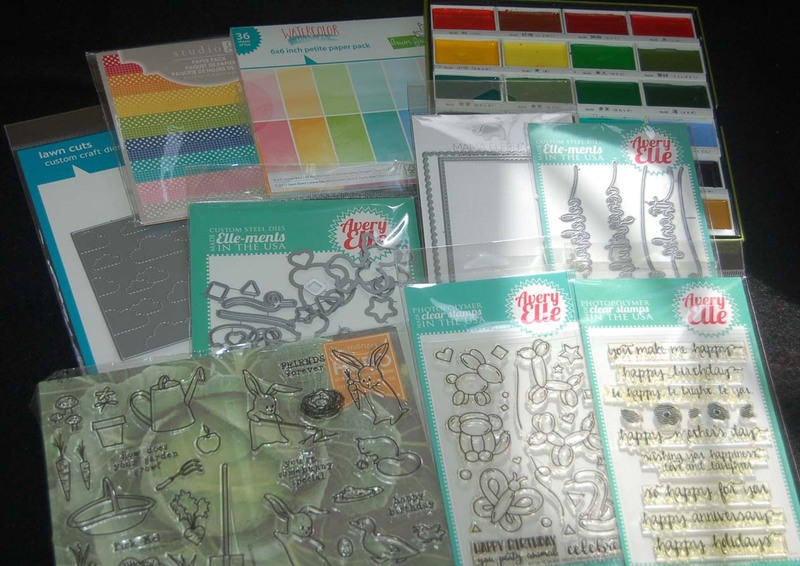 Love the whimsy on the inside of your card too... you are so good at personalizing your cards just especially for the lucky recipients. I'll bet this special card brought a big smile to your son's heart!